Building a strong relationship isn’t easy, but a having a chronic illness like arthritis can make it a struggle. Arthritis brings many physical, emotional, and financial demands that can drive couples apart. Unless both partners have strong coping skills and the tools to manage the obstacles that can occur, arthritis can seriously damage the relationship, or even end it. 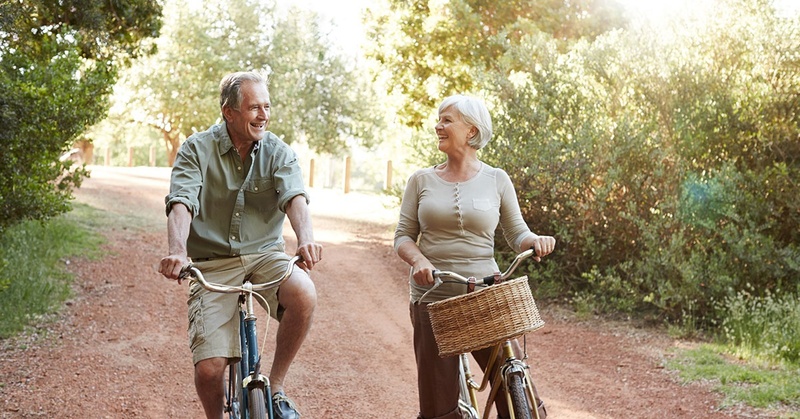 Read more about these five strategies that can keep arthritis from affecting your relationship. No matter how bad you feel when living with arthritis, it’s imperative that you do not shut your partner out. Communicating about your illness can be difficult and most couples prefer to avoid discussing it altogether, as these topics bring up a lot of difficult emotions. However, it is crucial to keep talking. When you’re working out any issues, good communication skills will help. Take the time to explain your needs and feelings. Allow your partner to hear any concerns without feeling criticized. And remember, when it comes to communication, listening is just as important as speaking. When a couple disagrees about something, it’s usually not because one person is wrong. It’s more than likely a misunderstanding where each person may simply see things in a different way. Listening without interrupting and asking for explanations can help couples understand each other more. To communicate more effectively, it is important that couples develop a common language for talking about pain, fatigue, and limitation. Each couple affected by arthritis will face different challenges. No relationship and no illness is the same. A lot depends on how severe the condition is and how strong the relationship is to begin with. As couples cope with arthritis, role changes will take place, and these can be a struggle to navigate. Chronic conditions such as arthritis are often costly, and financial issues can add stress to the relationship. Healthier partners can feel overwhelmed by the various roles they now have to play. It helps to find different ways in which the partner with arthritis can still contribute. Try to create a plan with your partner, keeping in mind that capabilities can change as arthritis symptoms change. For a relationship affected by arthritis to survive, both people’s needs must be met. It shouldn’t all be about the person with arthritis. Both partners need support, both need to manage their own lives, and both need to take part in things they enjoy. If the healthier counterparts give up on things that are important to them, they will feel resentful, and the person with arthritis will eventually feel remorse. Both partners should try to maintain as much independence as they can. Compromise will be required, but the goal is to maintain balance, so both partners can feel loved and satisfied. When it’s time for togetherness, maximize the positive and do not make it all about arthritis. Make a list of all the fun things you both enjoy and are able to do, and then organize future dates. With arthritis, pain and fatigue can make simple tasks too tough to handle. While it’s natural to be hesitant to ask for help, when you are in pain and need assistance, it is important let your loved ones know. Asking family and friends for help can make them feel empowered and it will provide some relief to your partner. Friends can also help lend much needed emotional support when your partner’s ear may need a break. Without friends, we tend to put too much of an emotional burden on our partners. In addition to asking for your help, ask your healthcare provider to recommend a local support group – for you and your partner. Studies have proven that arthritis support groups can improve moods, provide coping skills, reduce pain, and provide a reprieve from negative emotions. While it may be difficult to admit we need support, it is important that people who suffer from arthritis surround themselves with a strong community. Most support groups are more focused on the person with the chronic condition than on the partner, so you might have to search to find one that works for both of you. Take care of your caregiver. Just as your partner takes good care of you, take the time to nurture him or her when you can. You may not be able to help with physical tasks, but you can offer plenty of emotional support. It may be as simple as listening while they vent about their day. Arthritis is a major challenge to any relationship. But if couples work together, stay flexible, communicate regularly, and get support when they need it, they can resolve most of the problems that arthritis throws at them. If you look at this illness as an opportunity to grow, and solve problems together, you may find that your relationship will be stronger than before. Carolina Arthritis is here for you every step of the way for any additional support. Contact us as soon as possible if you or your partner need advice or have any questions.